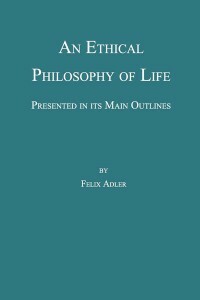 “An Ethical Philosophy of Life, Presented in its Main Outline” is divided into four parts. The first is an autobiographical introduction describing the various milestones by which Adler arrived at his worldview. The second part expounds on the philosophical theory. 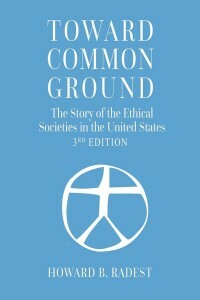 The third part contains applications of the theory to the more strictly personal life, under the captions of the “Three Shadows of Sickness, Sorrow and Sin.” The final part applies the theory to social institutions, the family, the vocation, the state, the international society and the Church. 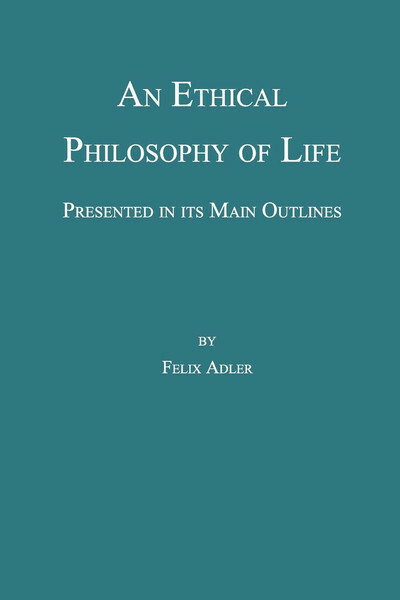 Felix Adler (1851-1933) was a professor of political and social ethics and a social reformer who founded the Ethical Culture Movement. Adler was also a popular, dynamic speaker and lecturer. 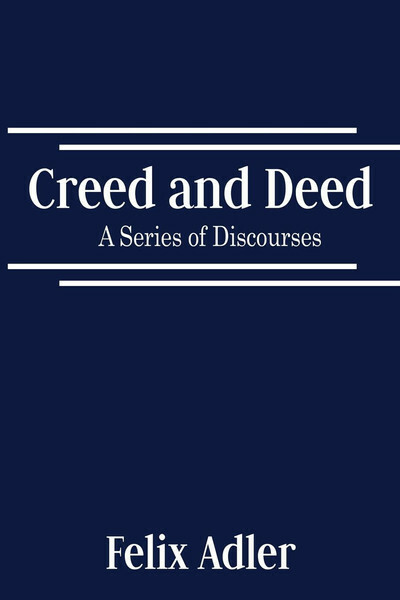 “Creed and Deed: A Series of Discourses,” originally published in 1880, contains popular lectures that were requested by the New York Society for Ethical Culture, which Adler established. 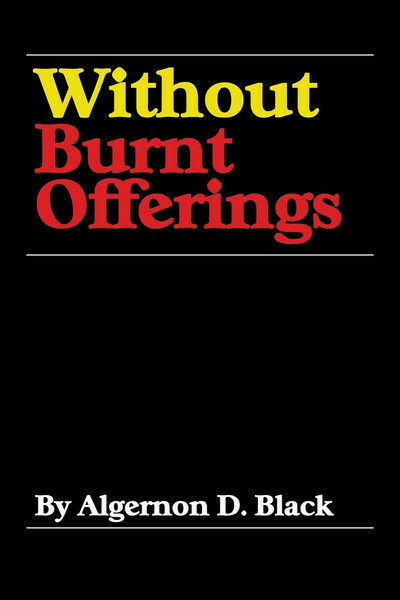 This reprint is taken from the original publication, which abridged and condensed Adler’s lectures on immortality and religion. The other lectures are in their original form without any serious modification. 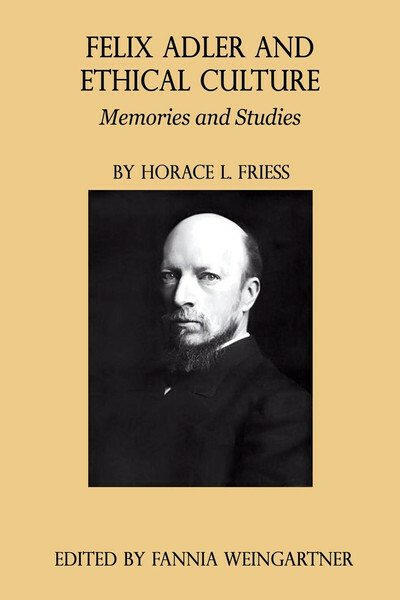 “The First Anniversary Discourse” reviews the work of the year, and gives a brief account of the motives which prompted the Society to organize and the general animus by which its labors were directed. The lecture entitled “The Form of the Ideal” foreshadows the constructive purpose of the Movement. Why are we here? What is the good life? 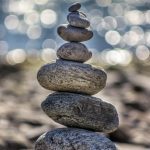 More than ever today, many people are searching for a religious belief that will answer these persistent questions and yet do no violence to their intellectual and humanistic convictions. 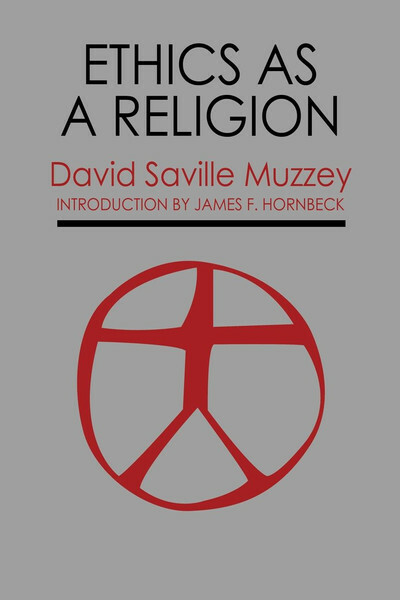 It is to these seekers, numbering in the millions, that David Muzzey’s book is addressed. Republished now after the final closing of his long, vigorous career at 95, “Ethics as a Religion” is a clear and persuasive guide for those who have found the formal religions unsatisfying. 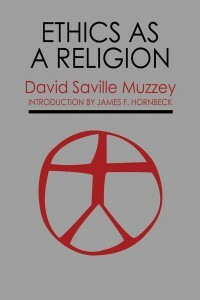 Ethical Culture is the centerpost of Dr. Muzzey’s book. Out of his long association with that Movement, including many years as one of its Leaders, he weighs the ethical content of Christianity and other world faiths, comparing them with the Ethical fellowship and setting forth what he calls “a religion for adults”—one that seeks to bring out the best in men in their day-to-day relationships. Ethics, the study of how people treat other, is a hunt for truth as every person becomes a judge of right and wrong. It is also the way to become a free person, since it helps one know what the choices are in life. 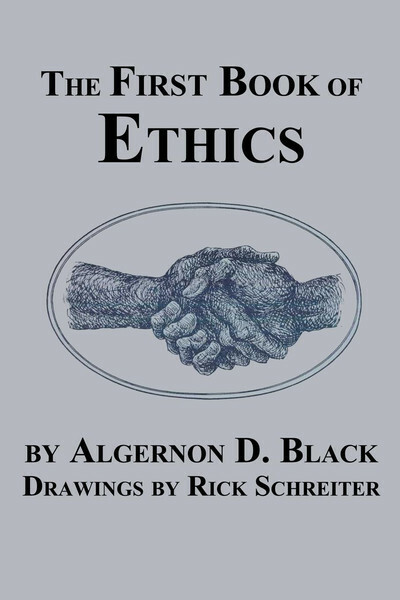 “The First Book of Ethics” is about how people have tried to find the answers, and how each person may find them. Considered by many to be one of the major influences on modern Humanistic Judaism, Felix Adler (1851-1933) was a professor of political and social ethics and a social reformer who founded the Ethical Culture Movement. 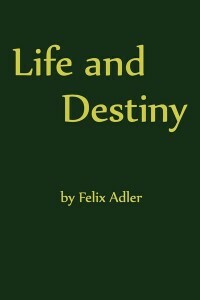 First published in 1903 “Life and Destiny” contains quotations from Adler’s lectures for the New York Society for Ethical Culture in its early years. It covers such things as the meaning of life, religion, immortality, moral ideas, the ethical outlook, and related topics. 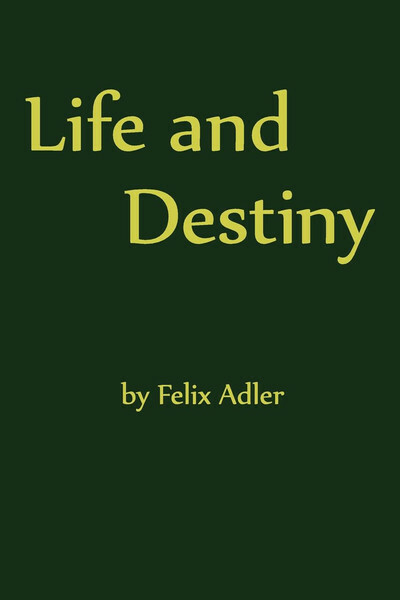 Considered by many to be one of the major influences on modern Humanistic Judaism, Felix Adler (1851-1933) was a professor of political and social ethics and a social reformer who founded the Ethical Culture Movement. Adler was also a popular, dynamic speaker and lecturer. 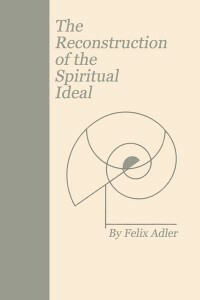 “The Reconstruction of the Spiritual Ideal” is a compilation of lectures he gave at Manchester College at Oxford in 1923. 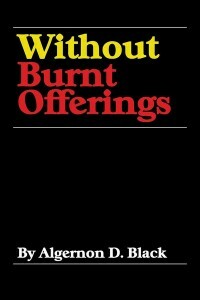 Topics include the spiritual ideal, marriage, social reconstruction, the society of mankind and the attitude toward life. Felix Adler (1851-1933) was a professor of political and social ethics and a social reformer who founded the Ethical Culture Movement. Adler was also a popular, dynamic speaker and lecturer. 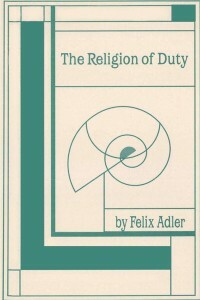 “The Religion of Duty” documents some of the best thoughts he presented over the years. 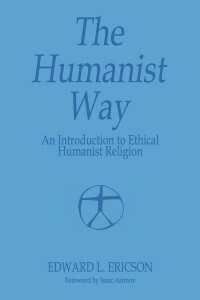 Topics include the first step towards a religion, changes in the conception of God, teaching of Jesus in the modern world, standards of conduct based on the religion of duty, the ethical attitude toward pleasure and suffering, and the essential difference between ethical societies and the churches. 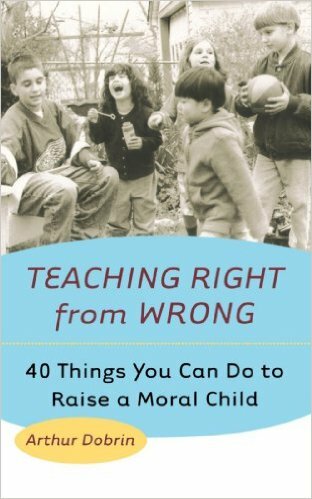 The experiment in moral religion called Ethical Culture was begun in America in the turbulent years following the Civil War. 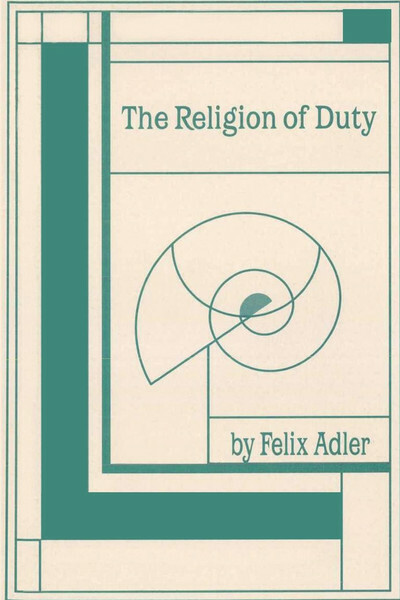 In 1876 its guiding impetus came from Felix Adler, whose quest for idealism drew to a “common ground” men and women from different walks of life, different faiths, even with different interpretations of moral religion. This diversity vitalized the Movement that held as its “credo” the need to dissociate religion from myth, to evaluate changing values, and to incorporate what was worthwhile in contemporary values into the daily lives of men and women. 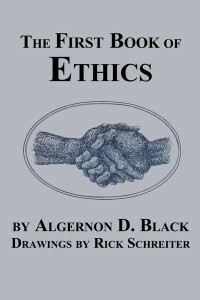 This is an official history of Ethical Culture from its founding in 1876 up to its 75th Anniversary. Prof. Radest spent years compiling an archive of the Movement’s history from interviews with members who recalled the glowing early years of social reform and philosophic controversy, from letters and personal memoirs by Leaders, and from scrupulous research into the programs and policies initiated and evolved over the years. It is never dry history: a history of Ethical Culture is a history of its times. Many programs of social reform received impetus or were aided by the Society—schools, settlement houses, home visits by nurses, legal aid, child-care, civil rights. 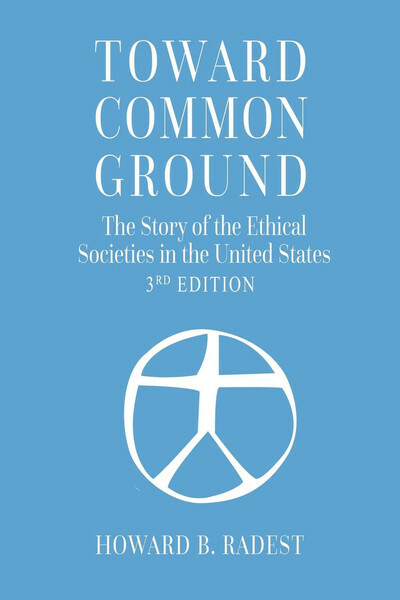 Here is persuasive evidence that the vitality of Ethical Culture is retained in its commitment to idealism as a challenge for the present and future. And the reading will be rewarding for all who are interested in American history—religious or social. 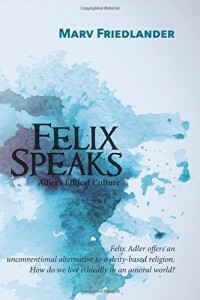 Felix Adler, founder of the Ethical Culture Movement, dedicated his life to espousing the idea that every person possesses an intrinsic worth that needs nurturing. His emphasis on ethics, or the development of “right relationships,” moved a whole generation of humanists who sought to live out such a philosophy. 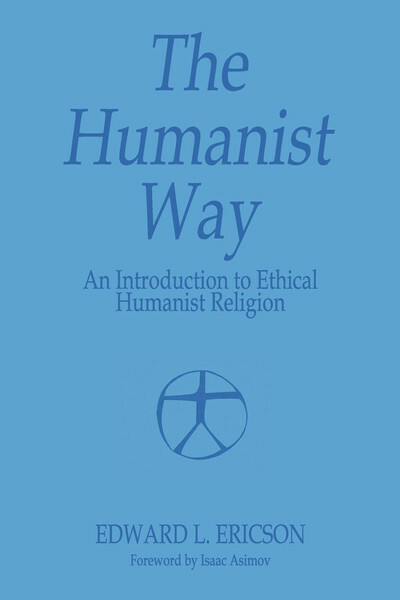 Now, those involved in ethical or humanist societies, as well as those who simply have an interest in learning more about humanism as a whole, can study Adler’s ideas in a language that is more accessible than ever. 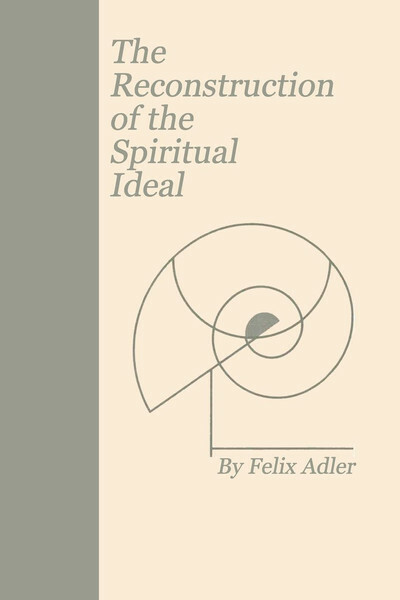 Beginning with a brief biography of the man behind the movement, Friedlander then introduces a series of short articles and essays based on the essential ideas of Adler’s philosophy. 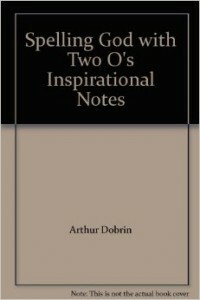 Imagined conversations between Adler and his wife, or Adler and a fellow member of the Ethical Society, enliven the philosophic ideas in a way that make them easier to comprehend—and provide an ideal launching pad from which to generate conversation among those who seek to make a difference. As societies continue to grow and change, humans find themselves facing many important ethical questions. Is the pursuit of happiness a worthwhile goal? Should religion be immune to criticism? 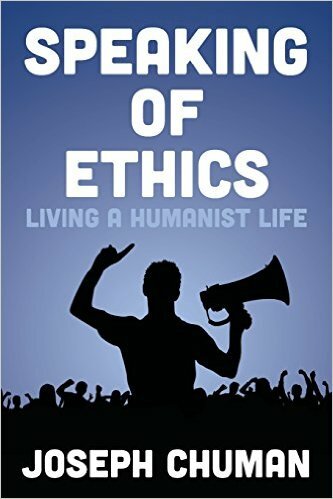 These questions and many others are addressed in Speaking of Ethics, a collection of the works of Dr. Joseph Chuman, highlighting his main ethical concerns. For the past forty-five years, Chuman has been serving as an Ethical Culture leader, inspiring his congregants through some of their toughest personal challenges. These experiences paired with his academic acumen, give him a fresh and astute perspective on ethics today. Chuman takes a broad-view approach that addresses the conditions that create dilemmas, rather than focusing on oversimplified right/wrong situations. 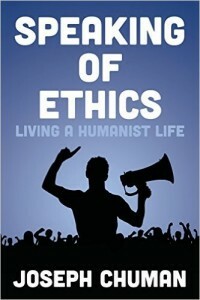 Speaking of Ethics, with its conversational tone and accessible language, shares Chuman’s thoughts in a way that provokes contemplation and discussion among its readers. 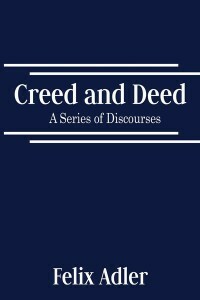 The sections of Speaking of Ethics give a stimulating glimpse at the foundations of Ethical Culture, as well as some of the biggest philosophical questions regarding private and public ethics. Together we seek the highest, attempting to create again and again the holy ground that is always new and right here below our feet, from Community. Our knowledge will always be partial and we can never be sure of the outcome. Yet there is no choice but to act, doing the best that we can within the limits that we have, from Conduct. When we value the worthy things, we become precious ourselves, from Appreciation. As surely as a fish must swim in water, we must live with other human beings. 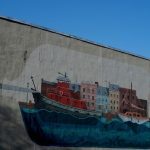 And just as a fish will suffer in polluted waters, our spirit will die in a land that is brutish and cruel, from Doing. When we acknowledge the blessings we already have, we are free to receive the blessings that are waiting to be born, from Blessings. To participate in the pleasures and sorrows of someone we love is to know one of life’s great satisfactions. To feel the misfortunes of those we don’t know personally is the basis of social justice, from Empathy…A timeless collection of inspiring words! *How “ethical intelligence” can be nurtured—even in a child’s earliest years. 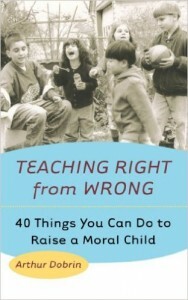 *How television, religion, and peers can shape—or short-circuit—a child’s moral development. *How to recognize and avoid some of the most common errors parents make.